Birth Samuel Schofield was born. Marriage Samuel was married to Grace Retallach. Birth Grace Retallach was born at Cornwall, EnglandG. Marriage Grace was married to Samuel Schofield. Married Name Her married name was Schofield. Marriage James was married to Ellen Huggert. Marriage Ellen was married to James Somerville. Married Name Her married name was Somerville. Marriage T J was married to Josephine Garrity. Marriage Josephine was married to T J Woods. Married Name Her married name was Josephine Woods. Birth Jane Chapman was born. Marriage before 1876 Jane was married to Reuben James, son of John Robert James and Elizabeth Florella Brien, before 1876. Married Name 1876 As of before 1876, her married name was James. [S442] Esma Hannah, "Reuben & Jane James," e-mail to Robert Mote, 27 February 2004. He was the son of Reuben James and Jane Chapman. She was the daughter of Reuben James and Jane Chapman. 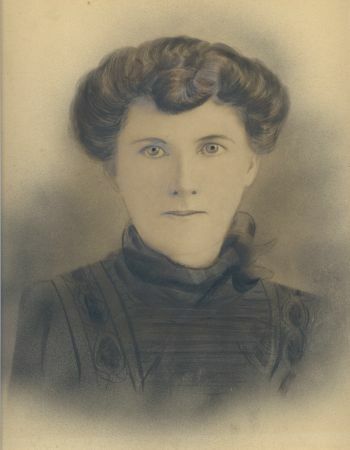 Death Elizabeth Jane Hunt died at AustraliaG. End-Line William James has no known descendants. Married Name 1887 As of 20 April 1887, her married name was James. Birth 1888 Adolphus S James was born in 1888. He was the son of Iram James and Christina Kurtz. Birth 1890 Winifred R James was born in 1890. Birth 1897 Ellis F James was born in 1897. Birth 1894 Elva V James was born in 1894. She was the daughter of Iram James and Christina Kurtz. Birth 11 August 1874 Ada James was born on Tuesday, 11 August 1874 at Sherwood, QLD, AustraliaG. She was the daughter of Albert William James and Sarah Elizabeth Window. Birth 6 July 1876 Eva James was born on Thursday, 6 July 1876 at Sherwood, QLD, AustraliaG. Death 1947 Eva James died in 1947. Married Name 1893 As of 1893, her married name was Samuel.